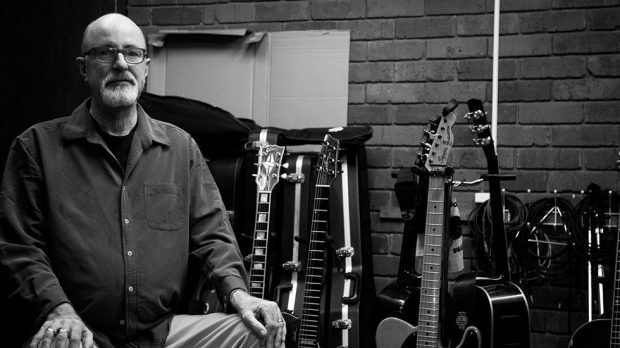 With an unmistakable aura of expertise, Errol H Tout returns with a fresh breath of pioneering instrumental guitar music in his 16th album, Luminous which he’s set to launch at Gate One Theatre, Claremont Showgrounds this Saturday, August 12. Luminous stands as Errol H Tout’s first truly collaborative work and manages to encompass a sound that is both humble and artistically fulfilling. The accomplished solo guitarist worked with Mike Gorman and Eliot McCann to bring this new work to life. “Other albums I have released were mainly solo albums, with guests that appeared. This album is different in that it represents the work of a group,” explains Tout. As a performer Errol H Tout is revered for his awe inspiring guitar solos, and with the release of new music Saturday night is bound to flicker back to life a formidably mesmerising experience. With support acts in indie-folk treasures Simone & Girlfunkle and pop duo Erasers, the evening is set to be a big night of local music. Errol H Tout launches Luminous at Gate One Theatre, Claremont Showgrounds this Saturday, August 12. Spooky, like the man. Echoes of Helicopters.